It’s a great feeling having an experienced Melbourne buyer’s agent on your side to level the playing field, rather than working for the seller. Where can we send your report? Whether it is your first home or your next home, finding your dream home will be much easier with the efficient Metropole Melbourne team on your side, working for you. Buying an investment property in Melbourne is a major decision, filled with excitement, pleasure, stress, pride and fear. The process can consume so much of your precious time, money and energy. When it comes to choosing the right investment property, you need to know what you need, what you can afford, and exactly what’s available at the time you are ready to buy. We offer a free initial consultation to establish your requirements, taking into account your family’s short and long term needs, as these will be critical in determining the type of property, the suburb and the strategy that we use. Should you buy a house or apartment? Where in Melbourne would you like to live – north, south, east, west, CBD? 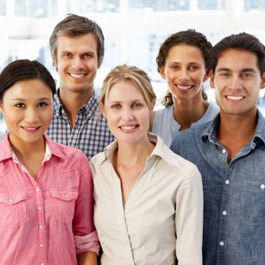 If necessary, we will refer you to our finance affiliates, accountants and solicitors to assist you. When you’re confident our buyer’s agent understands your requirements, you’ll give us the go ahead, and we'll undertake a comprehensive search of Melbourne real estate, to find properties available for sale that meet your needs. We not only have access to the properties listed on the open market, but also many “silent sales” – we know about properties before they come on the market, so you have the opportunity to peruse them before the general public. We will inspect several properties on your behalf, saving you both time and money. We then assess which properties meet your requirements, identify good opportunities and present them to you (by email if required), so you can select a property. We include digital photos of the property, location maps, floor plans and further details as required, to assist you in making your decision. If one of the properties is suitable, we will then arrange a time for you to inspect it. 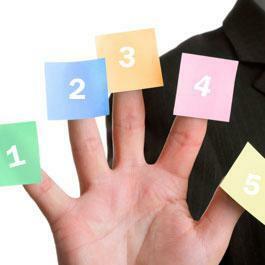 Most of our customers fall into one of the following categories. Don’t worry if this list doesn’t describe your requirements – get in contact with us anyway to learn how we can help you. Our Melbourne buyer’s agents specialise in understanding your requirements and what you are looking for when you’re planning on buying property in Melbourne. They then locate a prestige property to suit your needs, and negotiate the purchase price. Our clients engage us to buy high-end properties because we have access to premium real estate that’s not listed with agents - the “silent sales” before they hit the open market. Clients also choose Metropole because we can help them save money (because we understand property values) and protect their privacy. Melbourne has been regarded as one of the world’s most liveable cities for the past several years and offers homeowners a wide array of prestige areas in which to live. We can provide you with local knowledge about schools, entertainment, sporting facilities, demographics and the culture of an area, before you decide where to buy a home in Melbourne. See our 5 step acquisition process here. Established home buyer in Melbourne? Buying your next home in Melbourne can be a daunting and stressful task. Our Melbourne buyer’s agents specialise in understanding your requirements, then locating and negotiating the purchase of ideal properties to suit your family’s needs. For years Melbourne has been regarded as one of the world’s most liveable cities and offers homeowners a wide array of prestige areas in which to live. We can also provide you with local knowledge about schools, entertainment, sporting facilities, demographics and the culture of an area. See our 5 step acquisition process here. 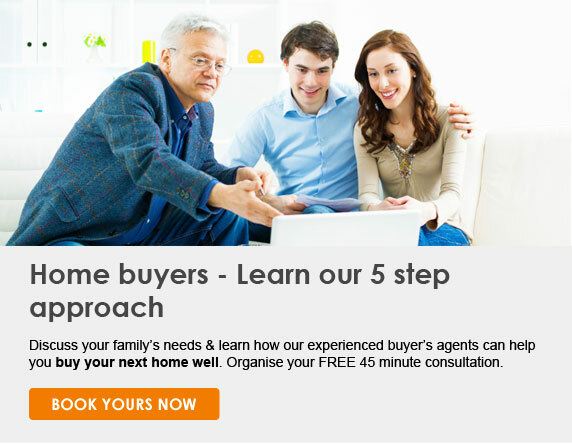 Expats and interstate home buyer in Melbourne? We specialise in helping overseas and interstate buyers find their dream home or investment property in Melbourne. We understand the local Melbourne markets and have access to all new and “silent” listings. Remember, we are buyer’s agents – we have no properties for sale, we work for you and not the seller, the property developer or the property marketer. This means we are unbiased and give you the facts, so you can make an informed and educated decision when buying property in Melbourne… isn’t that what you need? For years Melbourne has been regarded as one of the world’s most liveable cities and offers homeowners a wide array of prestige areas in which to live. We can also provide you with local knowledge about schools, entertainment, sporting facilities, demographics and the culture of an area. Buyer’s agents are licensed property professionals, just like selling agents. However, unlike a selling agent who is driven to get the best possible result for the seller, buyer’s agents represent investors, home buyers and developers in purchasing their properties. A buyer’s agent works exclusively for YOU, the buyer, whereas the selling agent works for and is obliged to get the best deal for the seller. Saving you time, money and stress by helping you to purchase the perfect property at the best possible price, and under the best terms. Researching, negotiating and acquiring the property on your behalf. Assessing the real market value of suitable properties to help you make an informed buying decision – don’t be fooled all of the “hype” often generated by sales agents. Ensuring you don’t pay too much by not becoming emotionally involved in the auction or negotiation process. Saving you time and money by locating suitable properties in a timely manner. Sourcing the right investment property in the right location, using our expertise to ensure it will outperform the market averages. Helping investors build their property portfolio in a faster and safer way, by representing the investor, not the seller, developer or project marketer. Acting in a confidential and professional capacity at all times. But beware… not all buyers agents are the same. Choosing the wrong buyer’s agent when buying property in Melbourne could cost you tens of thousands of dollars! 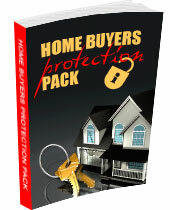 Get an instant download of this special consumer report – The Home Buyer’s Protection Pack. 13 Common Mistakes Home Buyers Make – and how to avoid them. How much is that property worth? How much do I offer? What you should watch out for if you’re buying an apartment? Don’t buy anything until you’ve read this. The service I have received from Metropole has been fantastic, in so many ways. Nicholas took the time to make sure he understood what I was after and worked very hard to source a property not only up to my standard but also fit within his/Metropole’s very distinct selection criteria. I was lucky enough to have input from Michael Yardney. I have also been very happy with other referrals Metropole have made, whether it’s an accountant or landlord’s insurance. I am very confident that the service provided by the team at Metropole was well worth the cost and I am already looking at how to speed up my next purchase utilising their services once more! I have recommended Metropole to my friends and am exploring the possibility of undertaking a small development project with Metropole’s input. It’s excellent to be invited to the continuing events/seminars where I can continue to become educated about property investing. So far we have purchased three properties via Metropole. Diane Johnson helped us to buy our latest unit in Marrickville and I cannot overstate the value I have received working with Diane. It is fair to say that she went over and beyond her call of duty, not only negotiating the best deal for us but being proactive and smart in getting the contract to our lawyers before other potential buyers had a chance to move. Her persistence, professionalism and commitment allowed us to buy a wonderful property at the best possible price. She kept us well informed throughout the process with regular contacts to update us on the progress, giving us confidence and making the whole process stress free and easy. To tell that we appreciate her honest and hard work as our agent is to say nothing. Diane is awesome! We are so grateful to Diane for everything she has done, and to George for recommending Diane to be our agent. Great job Diane! I would not hesitate to recommend Metropole and Diane in particular to anyone. Thanks, Diane, you are amazing!